An exciting first round to open the season has already scattered the Dream Team field with lots of big scores and a few big outs. If you had a few of the Round 1 Champions then you were doing well as most people were lucky to have one. Even if you missed them though there were plenty of good scores to be found and 368 teams delivered a score over 500 to have a nice start to the season. Popular captain choices in AJ Ogilivy (92), Daniel Johnson (80) and Brian Conklin (76) were awesome selections, while Stephen Holt (58) was acceptable. Tim Coenraad (80) and Hakim Warrick (82) also deserve a mention as the other players to get big 80+ hauls. Matthew Hodgson (64) missed out on being the Best Value Pick due to his quiet second match after a phenomenal season opener, before a significant gap to Nick Kay (42) in 3rd. Jason Cadee (48) was impressive and 4th for Best Value even though he only played one game. I’ll start by apologising to anyone who selected Kenyon McNeaill based on my advice. Although I knew he missed the last game of the Blitz with a shoulder injury, I had seen nothing further about it until the day of the match. He’s the perfect example of why you check and double check all your players in the news. Kevin Lisch (10) getting injured part way through Illawarra’s first match hurt many people, while Josh Childress got re-injured during the week and didn’t take the court at all. Luke Schenscher (22) and Torey Craig (18) were relatively disappointing given that there weren’t too many popular picks who let us down. Trading in round 2 is all about selecting players to make you money, so it doesn’t matter if they’re a premium or a bargain priced player, you should only be bringing in players who are scoring above their price. If you have Josh Childress you can pretty much afford anyone as I recommend trading him out as Sydney has indicated it’s a week by equation for him. If you had any of the disasters now is a good time to get rid of them too as they won’t have lost you any value yet. All these players have a double match this round, except for Blanchfield, so will get you bonus points as well as good value. Charles Jackson had a good first round and could be selected also. Others who you could select would be Hakim Warrick and Daniel Johnson, however each only have a single match. Both showed that they are going to be significant players all season though and you might want them now as keepers since their prices are only going to go up, although the same can be said for all the players above. Whilst those 5 were clearly the stand-out bargains, Rueben Te Rangi, Corey Maynard and Mirko Djeric all showed some form and have the double match this week. Beyond these, I would avoid bargain players you don’t already have as they are notoriously erratic in their scoring. The reality is that any of these players could turn into pumpkins at any moment, but at least these guys should have made you some money before you have to ditch them. If you’d prefer to spend a little bit extra on someone with guaranteed court time then Stephen Weigh and Clint Steindl were solid in their first round and both are key parts of their team’s structures. With four of the captains listed here also in the top premium trade target list, if you don’t have one of these options then you should be trading one (or hopeful two) of them into your team ASAP. Teams with the double match this round are Illawarra, New Zealand, Sydney and Townsville. Finally, remember that there are only short breaks between rounds this year, with round 2 having the now normal lockout time of 7:30pm AEDT on Wednesday. 501 ranked me 360th for the week (and of course, overall). 511 with the Mcneail disaster. 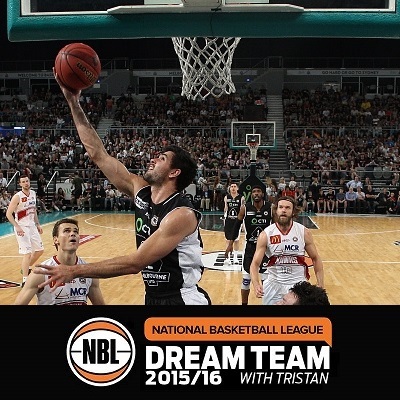 oh my bad it’s thomas with the team name nbl dream team, got confused with my T’s! Nice write up Tristan! Am sitting 54th overall after round 1. Bringing in Conklin & Cadee for Wasley & Creek. Would love to get Khazzouh but don’t see the point with Ogilvy/Majok there. Any other suggestions? You definitely only need one of Ogilvy and Khazzouh at this stage. And that’s a great trade move, any other suggestions would just be personal preference rather than definitively better. I don’t imagine that Blanchfield will keep up such high scores, although if he keeps playing the way he is then he’ll average 40 and be one of the best players in the competition. Coenraad is more likely to average 30-35 and has more money to gain than Blanchfield immediately. I lean towards Coenraad for immediate value, but Blanchfield is pretty much a guaranteed keeper. I made the top 10 this week and don’t want to ruin things by poor trade choices, but need to keep up with the cash grabs too! Trying to decide whether to bring in Khazzouh for AJ and upgrade Hadzi to Cadee or is there something better I should do? Iggy to Cadee is a great swap and gives you another double for on court. AJ to Khazz is a big call but if you need the cash for the other trade then it’s a solid move. I think they’ll average about the same for the season, with Khazzouh the chance to be slightly higher. Hey Tristan. Scored 560 even with Lisch’s 10 so pretty chuffed. Thoughts on Lisch to Hodgson via Creek and Holt to Conklin via Blanchfield ? 29 k left in the bank. I’d consider keeping Holt rather than Creek, but otherwise looks good. Nice simple to read write up. Thanks. Igor hadz to cadee, walker to Hodgson sound like good trades? Any not worth it? Maybe hadz to cadee is not because he costs 20k more? Good solid trades. I think Cadee is going to be big this season.